Karen was among the first recipients of From the Top’s Arts Leadership Grant! Her project, building classical music connections with Boston’s incarcerated youth, will create a musical exploration wherein students will write about their life experiences through the lens of hope and compose the soundtrack to their stories. Read more about it in this article from NPR. Karen Cueva appeared on Show 187, recorded in October 2008, at age 17. 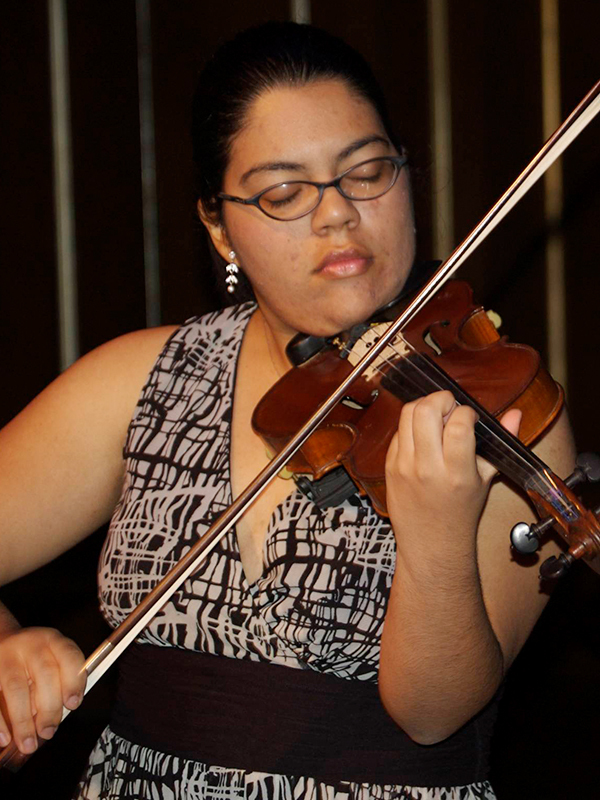 Karen Cueva (violin), 17, is a recipient of From the Top’s $10,000 Jack Kent Cooke Young Artists Award. Originally from Burke, VA, she is currently a senior at the Walnut Hill School in Natick, MA. Karen performs with New England Conservatory’s Youth Philharmonic Orchestra and has attended the National Symphony Orchestra Summer Music Institute and participated in the National Symphony Orchestra Youth Fellowship Program. She enjoys reading, painting, and cross-stitching in her spare time. Karen is a Jack Kent Cooke Young Artist.